With everything turning up red, white and pink in February, some might prefer a darker tone. 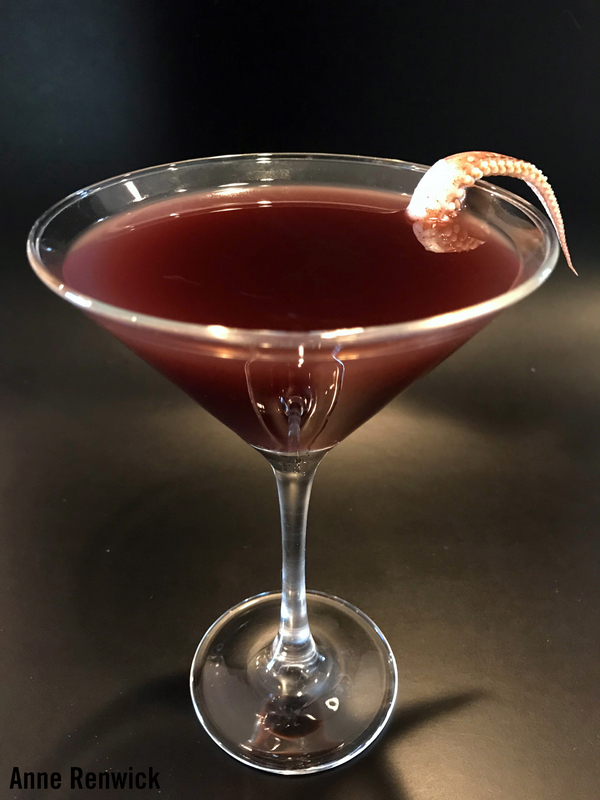 To that effect, I present The Dark Soul Martini, an alternative drink for the month. To ensure I provided you with the best possible cocktail, I turned to a close friend whose mixology skills are far superior to mine. 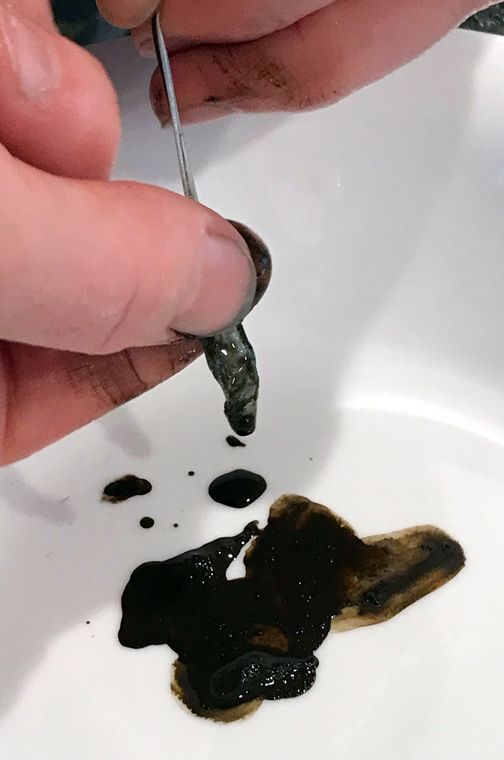 Without so much as a blink, Kristan Higgins returned the perfect formula to feature kraken ink. Why, yes. 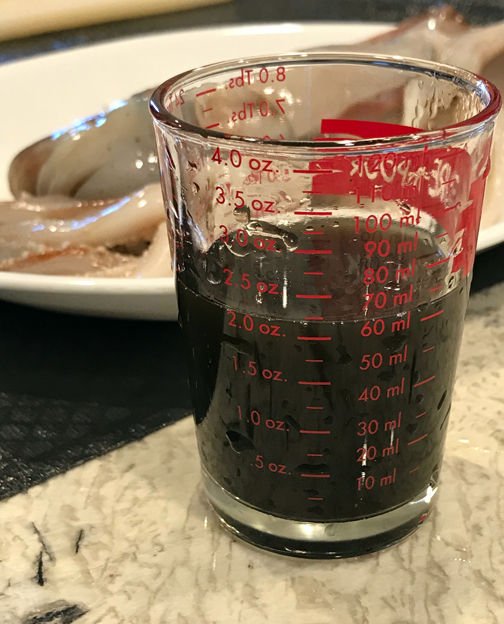 From the dark and shadowy seas, cephalopod ink adds a mysterious, black sheen and a deep, briny flavor to the Martini. Should you be unable to enter an alternate history to obtain kraken ink, any cephalopod ink will serve as a suitable replacement. 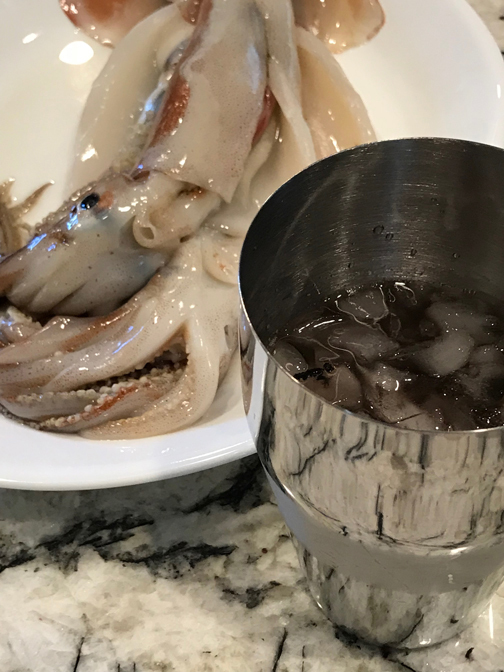 I suggest obtaining a whole squid from your local seafood store but, for the more squeamish or land-locked, both squid and cuttlefish ink can be purchased online. So where did I obtain my ink? 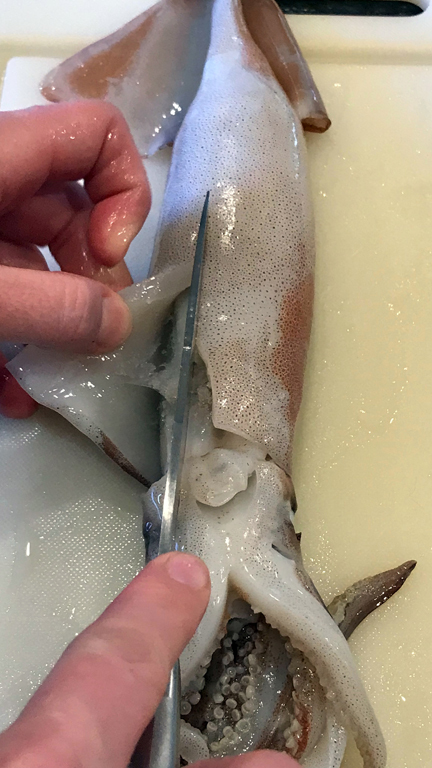 Scroll down to the bottom of this post for a step by step dissection demonstration featuring the very squid used in this preparation. The perfect drink for celebratory autopsies. Depending upon the number of celebrants, double, triple, or septuple the recipe below, which accounts for a single adult beverage. Fill the martini shaker 1/3 full with crushed ice to symbolize that revenge is a drink best served cold. Add the now-black vodka and other ingredients. Shake as long as a thrill flows through one’s veins. Pour into an appropriate receptacle, garnish with a tentacle and enjoy. 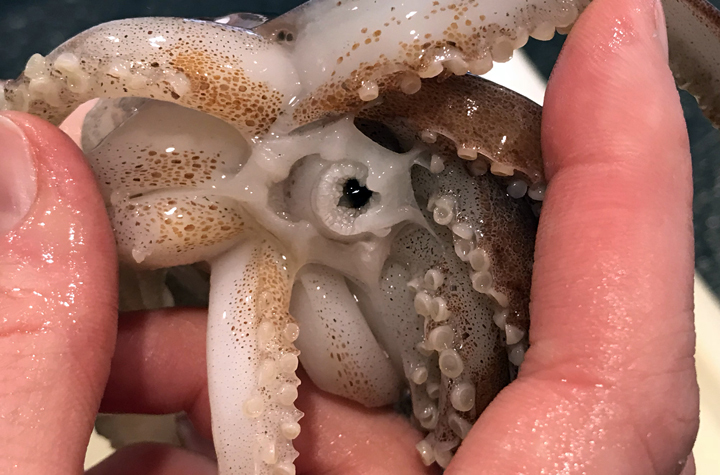 1) Obtain a whole squid. 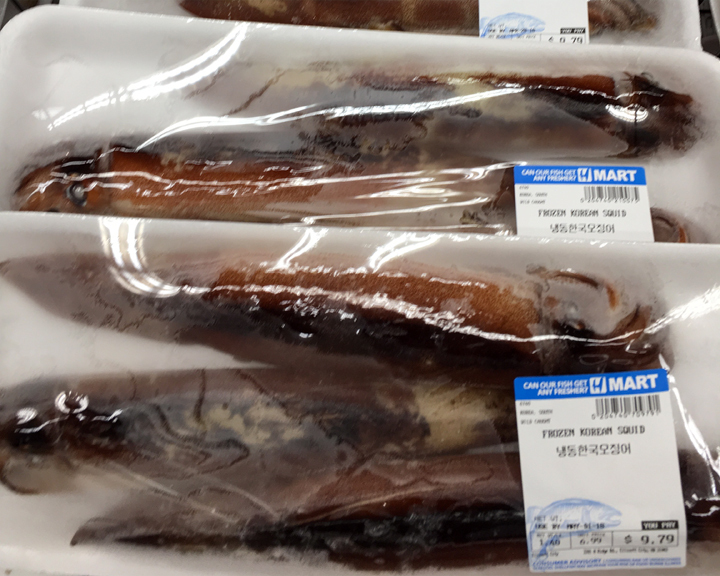 Fresh would probably be best, but I was able to locate frozen Korean squid at a nearby grocery. 3) Locate the ink sac beside the digestive tract. Gently tease it free from the connective tissue. Using a sharp knife, cut the end free (not the bulbous end, but the end near the mouth). 4) Nick the bulbous end of the ink sac with a sharp knife. Holding the mouth end, squeeze downward toward the nicked, bulbous end, emptying the contents into a bowl. Depending upon the species you have selected, the amount of ink you will obtain will vary. Plan accordingly to acheive your 1/8 teaspoon. 5) Use collected ink to darken the vodka. 6) Cut the tentacles away from around the mouth. Simmer on the stovetop in water. When cooked, blot away water and use as garnish.